It’s no secret the retail business has changed. Here’s solid advice for specialty retailers navigating the new environment. A common sense, hype-free look at in-store technology investment for specialty and independent retailers. 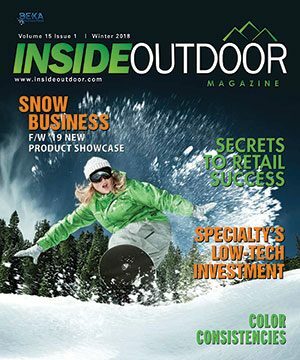 In addition to the usual assortment of outerwear, alpine packs, winter socks and traction-devices, this year’s winter product showcase also include a larger selection of snowsports gear to mark the inaugural edition of OR + SIA.